When it comes to chromosomes, extra copies are not a good thing. Every cell in the human body carries the same genetic information in two copies of 23 chromosomes. Having an extra copy of a chromosome is called trisomy, and an extra copy of chromosome number 21 is what causes Down syndrome. Physical signs of Down syndrome include upward slanting of the eyes, flattened facial features, small and unusually shaped ears, small heads, and broad hands with short fingers. Down syndrome can also cause more serious conditions such as varying degrees of mental retardation, poor muscle tone, an increased risk of early onset dementia, and heart, stomach, and eye problems. No two cases of Down syndrome are the same, and with therapy and support people with Down syndrome can live long, productive lives. 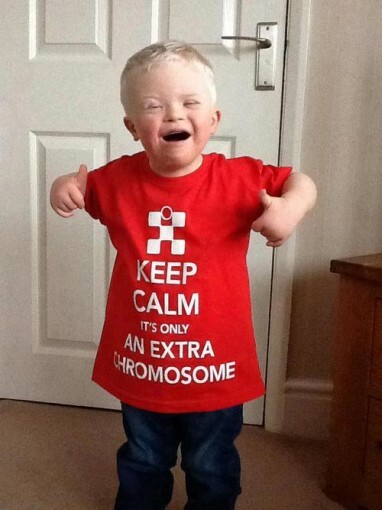 The risk of Down syndrome increases with the mother’s age during pregnancy. The risk of having a baby with Down syndrome increases from one in 1,300 to one in 25 at ages 25 to 49. Women who are pregnant with a child who might have Down syndrome typically undergo an ultrasound test and blood tests for markers such as pregnancy-associated plasma protein-A and a hormone known as human chorionic gonadotropin. Abnormal levels of these markers may indicate a problem with the baby. These tests are generally done during weeks 11-13 of pregnancy. The American College of Obstetrics and Gynecology now recommends that all women undergo prenatal testing for chromosomal abnormalities. Until recently, Down syndrome could only be confirmed by invasive tests that collect cells from the amniotic fluid surrounding the fetus, the placenta, or the fetus itself. These tests can be risky, with a one percent chance of miscarriage. However, a new, noninvasive screening test called circulating cell-free fetal DNA analysis may reduce the need for invasive prenatal tests. Circulating cell-free DNA from the fetus makes up three to 13 percent of the DNA fragments circulating in the mother’s bloodstream during pregnancy. First, DNA is isolated from the mother’s plasma, the liquid component of blood. Then, there are two ways to determine if there are any chromosomal abnormalities. Massive parallel DNA genomic sequencing can be used to quantify millions of DNA fragments in just a few days and can accurately detect trisomies. Another approach is called Digital Analysis of Selected Regions, which analyzes only the chromosomes in question to evaluate them for any abnormalities. These tests are 99 percent accurate, can be done as early as the 10th week of pregnancy, and are more reliable. They can also diagnose other trisomies, like the ones that affect chromosome 18 (Edwards syndrome) and chromosome 13 (Patau syndrome). At this stage, invasive testing is still required to confirm the diagnosis of a trisomy. But in the near future this new technology will reduce or eliminate the need for additional invasive tests that put the fetus at risk. This is only the beginning of the development of safer and more accurate genetic tests.